The lake region of Italy has enchanted poets, composers, writers and gardeners since Roman times. The area's unique climate makes it possible to grow a wide diversity of exotic and rare plants. Horticulturists and plant collectors alike have created incredible gardens on the banks of the lakes, some around major historic villas, others around more modest homes. 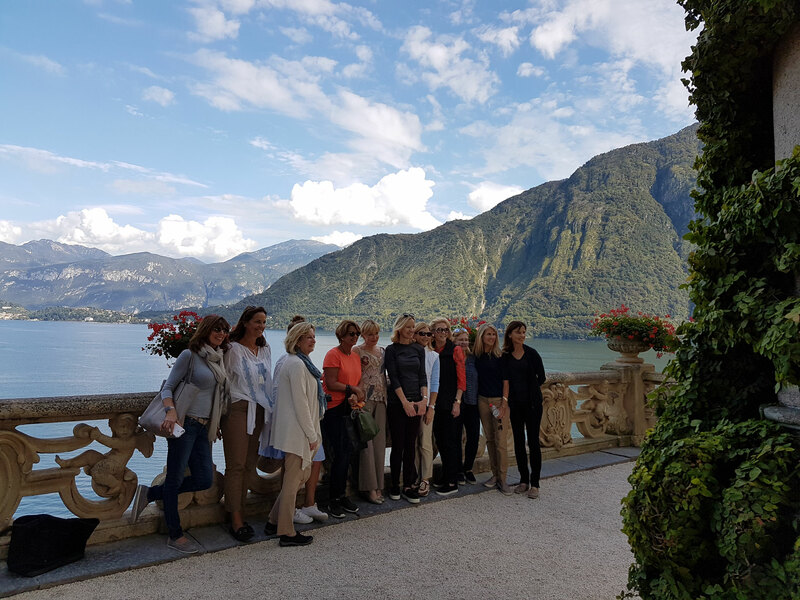 We visit Lake Maggiore and Lake Como. On Lake Maggiore we stay in Stresa or Verbania, and visit Isola Madre and Isola Bella. 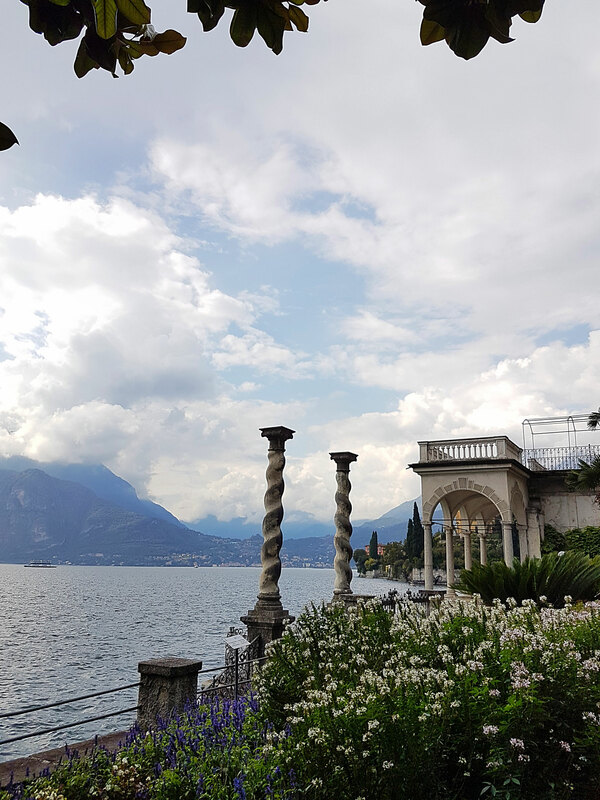 On lake Como we stay in Bellagio, centrally located to explore the lake's three arms and their garden treasures. 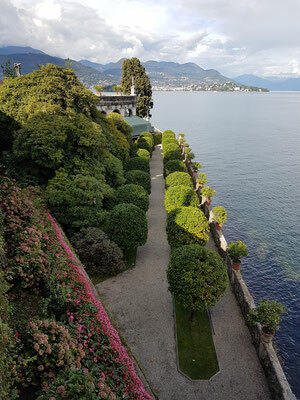 Villa Carlotta, Villa Melzi, Villa del Balbianello are a few of the sites we visit. April, May and September are the best periods for this tour. The whole trip was just perfectly choreographed, starting with that luminous first day riding down and up the lake in our own boat with that very special lunch stop between our visits. These 5 days were a very special way of spending time together, enjoying the beauty of these marvellous gardens and villas interspersed with delicious culinary moments of relaxed conviviality. It all made for a wonderfully memorable time – thank you! I know that all things seemingly effortless rely on a great deal planning and a keen eye on every detail, and your judgement was just perfect in every which way. I wanted to thank you for such an extrordinary visit and tour of the northern lake region of Italy !! I had the most wonderful time and you are truly an amazing tour organizer and guide. You were always in complete control of all of us ( I don't know how you accomplished that ) and of every situation!! Everything thing that we did was perfectly organized. Each bus, boat , taxi , hotel and restaurant ready and waiting for our group. You made certain that there was no room for error and that each event went according to the plan. Thank you Marie from the bottom of my heart for such a fabulous trip and one that I will remember for my entire lifetime. We meet at Milan Airport in the mid-afternnon, board our private coach, and drive to our hotel in Bellagio, on Lake Como. We enjoy drinks and dinner overlooking the lake. Today we board our private boat to sail down the western side of the lake, admiring the lakeshore villas, some of which are only visible from the water, and stopping to visit the gardens of a private villa. We dock at a restaurant for lunch to enjoy our mid-day meal by the lake. In the afternooon we visit Villa del Balbiannello, in Lenno. The gardens of this 18th century villa creep up the steep slopes of a peninsula. The loggia at the top of the promontory is open on both sides offering views of the Alps to the north and the lake to the south. A magical place! We end the day at Villa Melzi, in Bellagio : an exceptional English style garden surrounding a neoclassical villa. From there we walk back to town along the majestic avenue of sycamores by the lake. 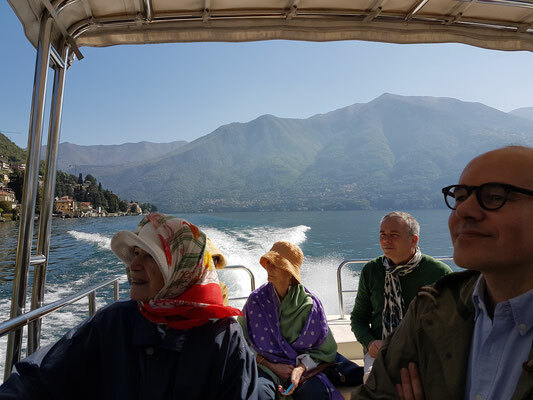 This morning, again by private boat, we cross over to Tremezzo and visit Villa Carlotta. 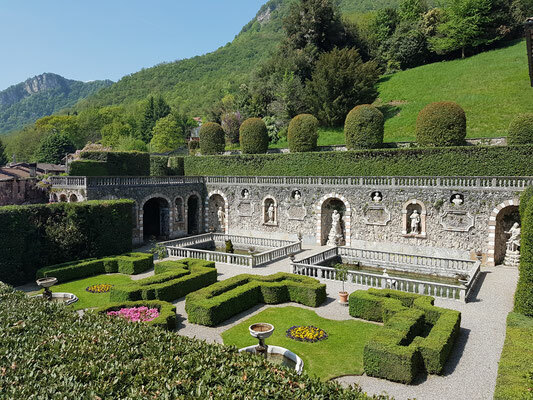 Built as a summer residence for a Milanese aristocrat, the grounds combine dramatic terracing, parterres and grottoes with an extensive landscape park and arboretum. The house contains notable collections from the Napoleonic period. For lunch, we cross to by private boat to Varenna. 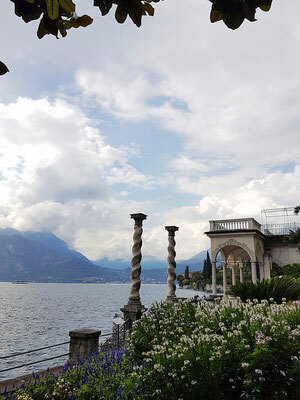 In the afternoon, we visit Villa Monastero and Villa Cipressi, both with extensive gardens, sloping down to the lake ina sweep of terraces, a bit like a balcony overlooking the lake. Today we travel from Lake Como to Lake Maggiore, stopping on the way at Villa Cicogna, in Bisuschio. Created in the mid 16th century the formal gardens extend around the villa, displaying water features as well as grottoes and follies. In the afternoon we stop at a private garden, where the owner kindly invites us to tea. We arrive at our hotel on Lake Maggiore in time for drinks and dinner on the terrace. 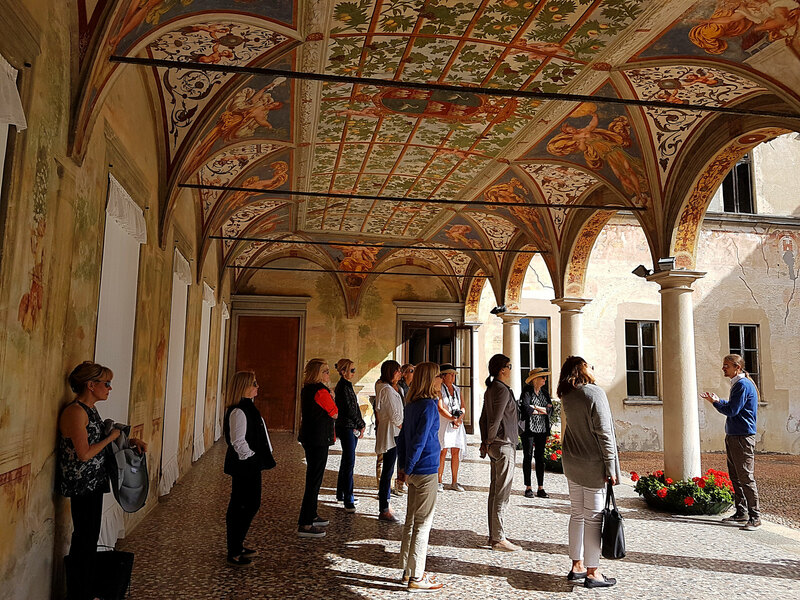 Today we visit the Borromean Islands privately owned by the Borromeo family since the 16th century. We start at Isola Bella where the villa and gardens were created in the 17th Century by Count Carlo Borromeo III for his wife Isabella. The gardens consist of a series of ten terraces leading up to the villa, perched at the top. The effect of this baroque extravaganza is that of a wedding cake of terraces and greenery, floating improbably on Lake Maggiore. We lunch on Isola dei Pescatori, the only inhabited island of the archipelago. 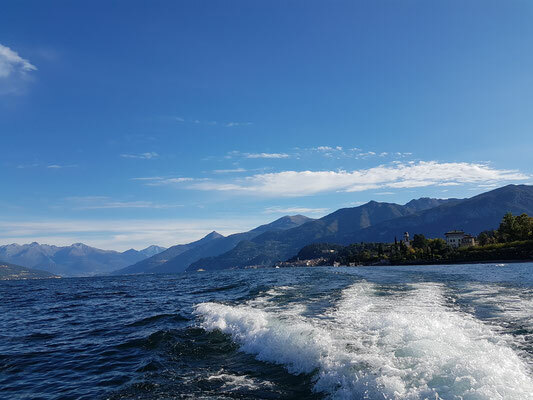 In the afternoon, we visit Isola Madre, the first Island to be purchased by the family in the 16th Century, and also the largest of the three. The gardens, established in the 1820’s in the English style, showcase citrus trees, camellia hedges, mimosa, dogwoods and azaleas. The palace, though uninhabited, is splendidly furnished with 16th- to 19th-century Italian masterpieces and paintings. We start our last day at the botanical gardens of Villa Taranto. 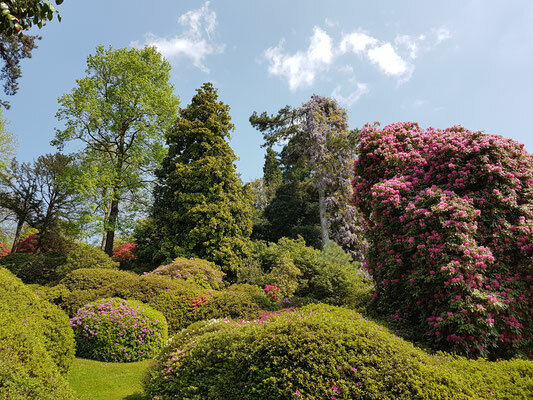 Created between 1931 and 1940 by Scotsman Neil McEacharn to house his extensive collection of exotic plants, the gardens today contain nearly 20,000 plant varieties, representing more than 3,000 species. From here we cross over to Switzerland and visit the botanic gardens of the canton of Ticino on the Island of Brissago. We reach Milan airport in time to catch an evening flight.